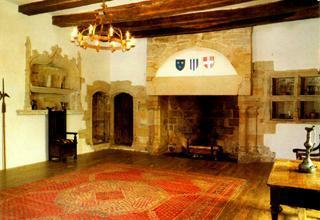 What was the role of a breton manor during the Middle Ages? How were people living at that time ? What were the manor functions, its economic, penal, or defence systems? - The private rooms: bedrooms, three kitchens, cellars. You will appreciate, in particular, the development of culinary practices with their related equipments: medieval cuisine, supply cooking, renaissance cuisine, baker's oven. The visit duration (interior and exterior) is approximately 45 minutes. During the summer, the Plessis Josso may organize some temporary activities (concerts, exhibitions, ...).